“I saw her standin’ on her front lawn just a-twirlin’ her baton/ Me and her went for a ride, sir...and 10 innocent people died.” So begins Bruce Springsteen’s immortal album Nebraska. Inspired by the Starkweather homicides that took place in the state, Springsteen sang about a state often forgotten in the middle of the country. Despite being one of the most popular albums of the 1980s, the album is divisive in the state of Nebraska because of its depiction of the murders combined with the relatively little time it devotes to positive aspects of the state. This past year, Director Alexander Payne brought the state of Nebraska back into the limelight with his new film, also named Nebraska. As with Springsteen’s album, the people within the state are divided over how to view the film. A debate has raged on in the editorial pages of the local papers over the accuracy of the depiction of Nebraskans in the film, as well as the appropriateness of its title. Any film named after a large geographic area, especially one not often seen in film, is bound to cause a stir, and Nebraska’s accolades at the Cannes Film Festival and a recent Oscar nomination for Best Picture have brought this issue to the forefront for many moviegoers. Although largely set in Nebraska, the film begins in Billings, Montana. David (Will Forte) is an electronics salesman who is called to pick up his aging father, Woody (Bruce Dern), who is found walking along the highway to Lincoln, Nebraska. Woody is a longtime alcoholic and is now dealing with the onset of dementia. After receiving a scam in the mail that promises him one million dollars if he returns the letter to their offices in Lincoln, he begins walking there alone. David decides that he wants to bond with his father while he still has time, so he drives his father to his hometown of Hawthorne, Nebraska and then on to Lincoln. While in Hawthorne, they meet old friends and relatives who are all happy to see him, but are also secretly vying for a cut of his winnings. While the film has been advertised as a road trip movie, the majority of the film is spent in Hawthorne exploring the lives of local small-town residents. At times, Nebraska is scarily accurate about aspects of Nebraskan life. Everything is true to the area, from University of Nebraska football schedules in the background to the long shots of the cornfields and little houses with aging white siding poking out over the stalks. Payne has the sense of place down perfectly, and his choice to film the movie in the small town of Plainview, Nebraska, as well as the use of extras from around the area contributes to this accuracy. While his intention seems to be bringing to light a population not normally seen in cinema, Payne also tries to straddle the line between cultivating an accurate representation of Nebraskans and poking a little fun at them. While this resulted in some of the most humorous moments of the film, at times the film descends into stereotypes of rural life. Probably the best example of this occurs when one of David’s cousins asks what cars his family drives. David responds that they drive a Subaru, a Kia, and a Nissan. “So you all got Jap cars?” Despite how it may look on the outside, the state of Nebraska is not still living in the ’40s, and although the movie puts a large amount of effort into capturing the everyday life of a small-town resident, Payne sometimes undermines this attempt by delving into clichés. Along with the people, the film also contains a healthy dose of the scenery of eastern Nebraska. Rolling hills, endless fields of corn, and grasslands all get their time in the spotlight as David and Woody drive across the state and explore Hawthorne. The film is shot in black and white, and although this gives the film a vintage look and feel, the lack of color also takes away from the state’s beauty. The plains don’t have much to start with, but when they’re filmed without color in early winter, only corn and browning tall grass are left to see. Nebraska is a well-made movie that is more successful in its exploration of rural life in Nebraska than any other recent film. That being said, it should be taken with a grain of salt. While many of the aesthetic aspects of the state are depicted accurately, Payne veers too often into stereotypes, and, in doing so, fails to authentically capture Nebraska in its entirety. 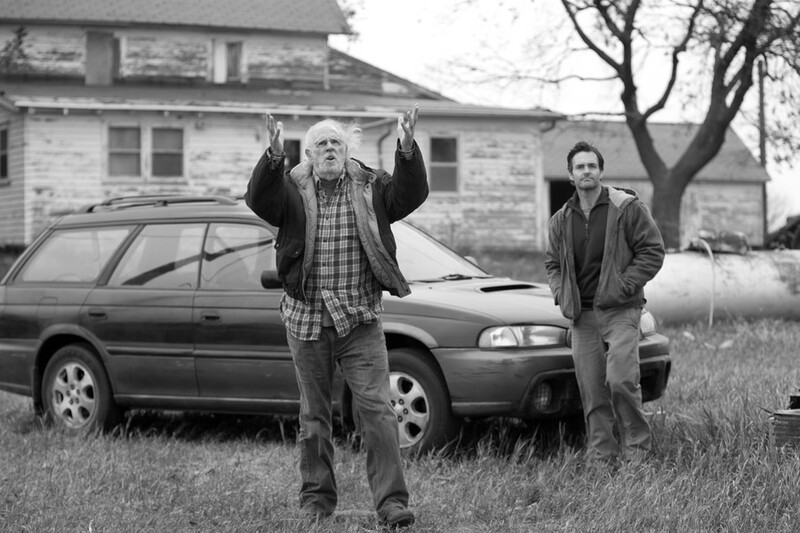 Nebraska by Alexander Payne is currently playing at Landmark Century Centre Cinema.